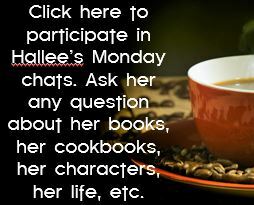 ← Interview with Selah Award Finalist Leslie Payne and a Giveaway! 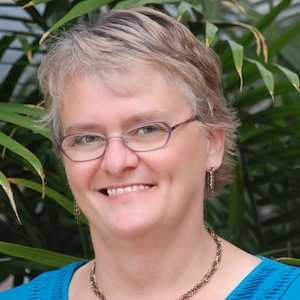 Interview with USA Today Bestselling Author Valerie Comer and a Giveaway! Welcome to Readers Write to Know! I asked you, my readers, what questions they would ask their favorite authors if given the chance, and the authors visiting my blog answered them! This week, I am so happy to have Valerie Comer return to us! Valerie and I worked together on a box set called Love Brings Us Home, and for a while, I was a regular contributor to her blog InspyRomance.com. I love Valerie as my sister in Christ and totally jive with her food and farming philosophies. Enjoy this interview and read on to see how you can enter to win an ebook of her latest release! Tell us a little bit about yourself. Hi, it’s great to be back! I’m Valerie Comer, and I’m a USA Today bestselling author and a two-time Word Award winner who writes contemporary romance with engaging characters, deep faith, and strong communities. I hope my imaginary friends enjoy their happily-ever-afters as much as I do mine, shared with my husband, adult kids, and adorable granddaughters. Tell us about your current release. 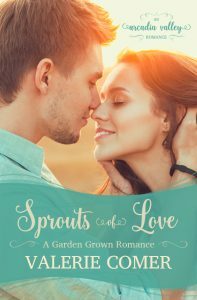 Sprouts of Love is part of a multi-author series of Christian contemporary romance novels, all set in the fictional town of Arcadia Valley, Idaho, and focused on foodie issues. Each author contributed an introductory novella to Romance Grows in Arcadia Valley, and we’re releasing a novel a month for eighteen months! Sprouts of Love is my first solo novel within this series. In Sprouts of Love, single mom Evelyn Felton takes on a third part-time job managing a greenhouse and garden project for Grace Fellowship. Formerly homeless, she’s thrilled to offer truckloads of fresh produce to the Arcadia Valley food bank. How did you make the initial step into writing your first novel? What were some of your major roadblocks and how did you overcome them? I realized the other day that I’ve been writing for 15 years, but I daydreamed about it for years before that. I read countless how-to-write books from the local library, but nothing really clicked for me until the spring of 2002. I’d just begun a new job in a small-town flooring shop and suddenly found myself with a lot of empty time. This time the Internet had been invented, and I discovered an online community of writers. I was determined to figure out how to write an entire novel. The first one took me almost a year, and I have never re-read it since. It served its purpose: I learned that I could write 100,000 words and I also learned but I needed to study story structure! From there, I just put my head down and kept writing novel after novel, most of them very bad, for several years as I slowly improved. I think the takeaway is simply continuing on! Do you have your plotline and character development already laid out before you begin writing a book, or do they develop as you write? In the past 15 years, I’ve tried every plotting method devised by man. My methods have changed a great deal over the years. Now I do a lot of setting and character work in advance, and let the plot reveal itself as I write. 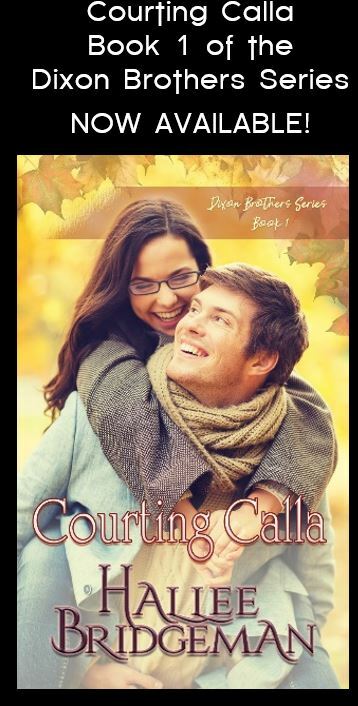 Because I write contemporary romance, the final outcome is never in question, but I still find many surprises as I go along and hope the reader does, too. I often have very little idea, or none at all, as to what might keep the characters apart when I begin the story. What is your personal, most effective way to get past writer’s block? You might think, and you’d be right, that there are many days when I don’t know what I’m going to write when I sit down with my computer. That is definitely one of the downsides to being a seat-of-the-pants writer! The first thing I do is stop to pray. I may not know where the story is going, but God does, and He reveals it to me bit by bit as I ask Him to. I often read back over the previous day’s work, and do a slight edit. This often gets me back in the flow of the story and I carry on. Do you have pre-determined length in mind when you first begin a book? Yes! Because I write in series, readers have an expectation for how long books in that series are going to be. I’ve written quite a few novellas, and these tend to come out at a very similar length, about 30K. Most of my other books, at least those written in the past 18 months, are within a few thousand words of each other at about 55K. Even though I don’t plot in advance, I keep the story pacing somewhere in my head. I’m not sure where I hide, it seems to be available as needed. What is your preferred method of writing? (computer, pen & paper, etc.) I wrote my first two or three novels in the back of the flooring store in a spiral bound notebook and typed them out evenings at home on the computer. Then I invested in a second-hand desktop computer to keep at work. My boss guys were awesome about my writing, by the way. They even got Internet into the store just for me. After a while I bought a laptop, and only a year and a half ago, long after I left the day job, did I go back to a stationary computer. Initially, it was a big change learning to think with my hands on the keyboard, but after having written and published more than 15 books in the past three years, I’m feeling the effect of all that typing. These days, I’m in the process of learning how to dictate my stories. In fact, I’m dictating this blog post! The transition is not an easy one, but just as I once learned to think with my hands on the keyboard, I’m now learning to think and write with my hands in my pockets. Desperate times call for desperate measures. Do you write your books for your own enjoyment or more for what you think people would want to read? I think to be a successful author, you need to do both. I could never write strictly for the money. If I am not having a good time getting to know my characters and engaging in their situations, then I might as well be working in retail or sales again. Writing gives me the freedom to have my dream day job and I don’t take it lightly. But, because it is my day job, I also have to earn an income, so there’s no point in writing stories that no one wants to read! Some days it seems like a fine line between the two, but I am confident if I’m telling the stories God has put on my heart, there will be an audience for them, however large or small that may be. Valerie is giving away an ebook copy of Sprouts of Love! Enter for your chance to win. 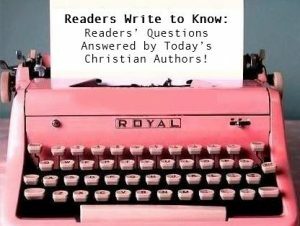 This entry was posted in Blog, Hallee's Interviews with Christian Authors and tagged author interview, interview with christian author, readers write to know, valerie comer. Bookmark the permalink. 4 Responses to Interview with USA Today Bestselling Author Valerie Comer and a Giveaway! Thanx for the giveaway. I enjoyed the interview. It is interesting to hear how different authors get to the end of the book. I find that fascinating, too! God created us all with such unique personalities. I have been reading Val’s books for a long time now – and I believe I first found her through you, Hallee, in one of the compilation books that included Raspberry Vinegar! I absolutely love these stories, so thank you for introducing me to them! It’s always fun to figure out how readers found my books. Love Brings Us Home was a terrific collection. We had so much fun working together!